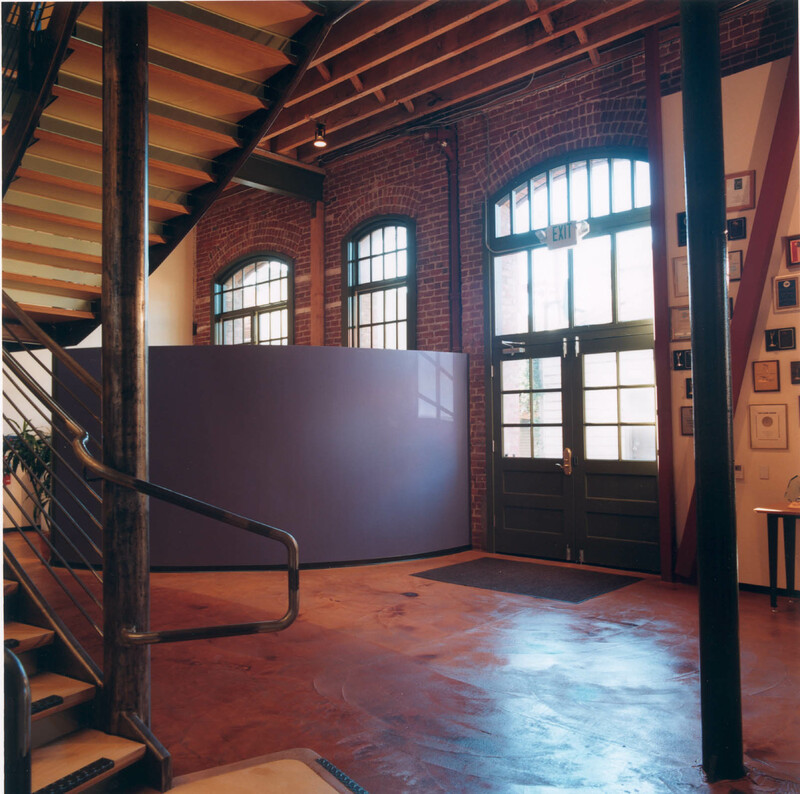 The Kenwood Group is the headquarters of a media event company which offers creative event planning, video and performances to businesses worldwide. 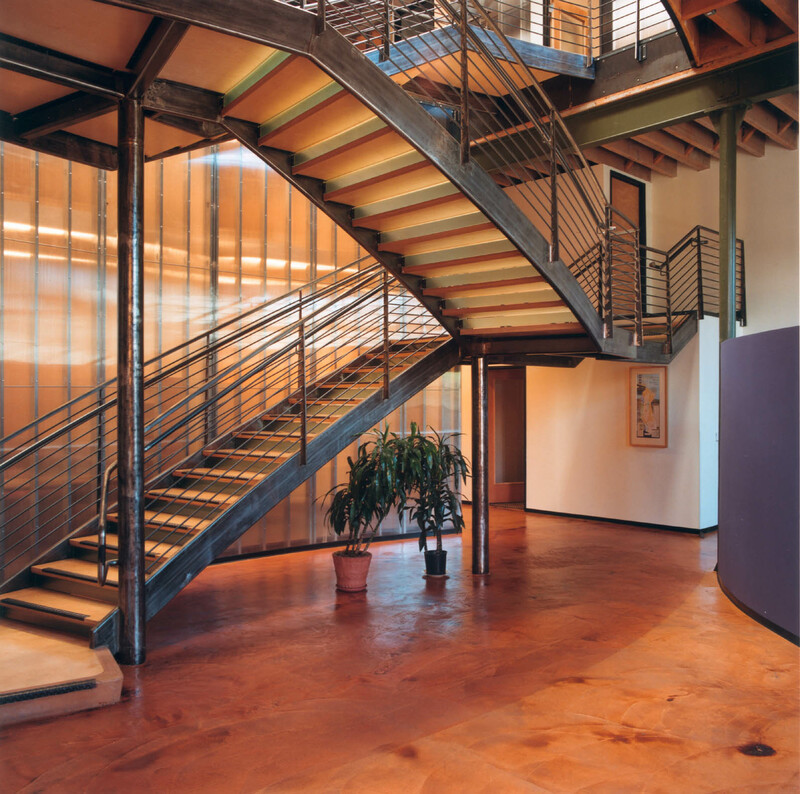 This loft-like space is envisioned to give the company a signature identity through a dynamic entry and connecting stair that is centered on a series of existing skylights. The open, flexible second-floor staff working areas facilitate a natural ease of work flow and communication through a creative approach to access to natural light. 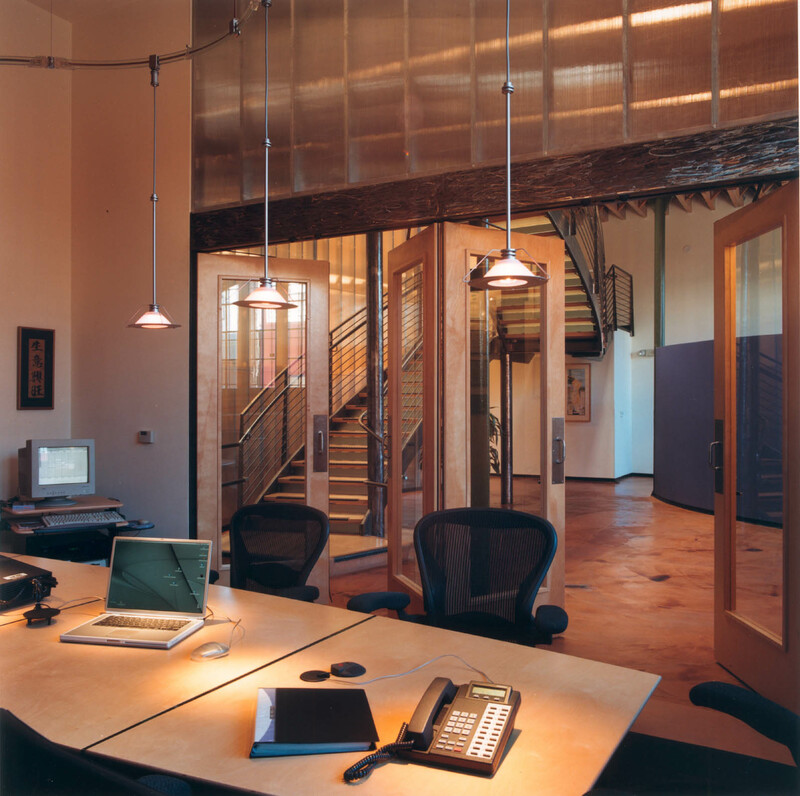 Daylighting is the defining motif of this project, since the floorplates are quite deep; hence transparency is found in many design elements. 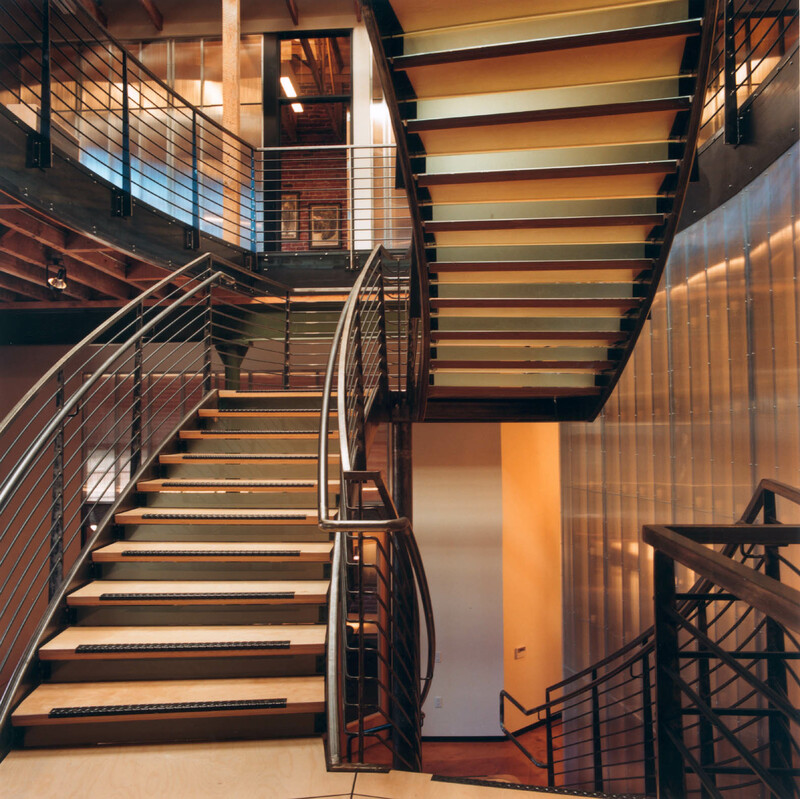 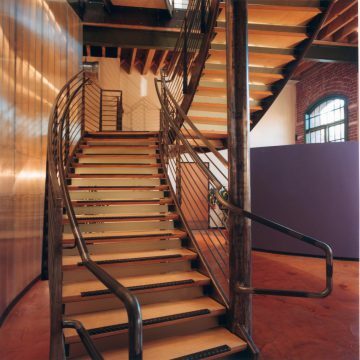 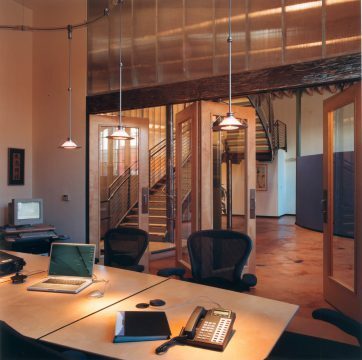 Stair risers and conference room walls are translucent panels, and even the steel of the stair is delicate. 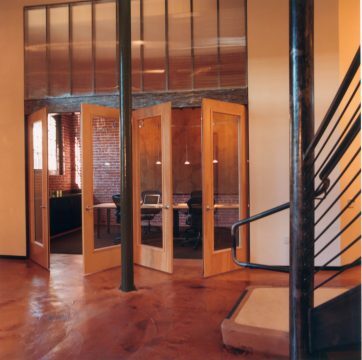 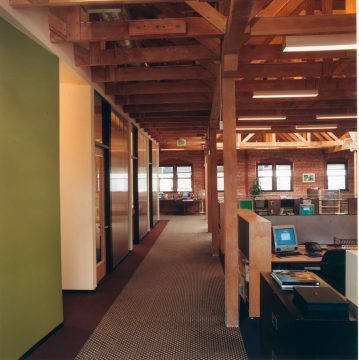 The original brick walls add visual texture, and a color stain renews the original concrete of the first floor. Provide a signature identity through a dynamic entry and connecting stair that is centered on a series of existing skylights. 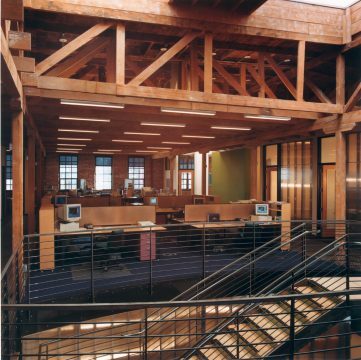 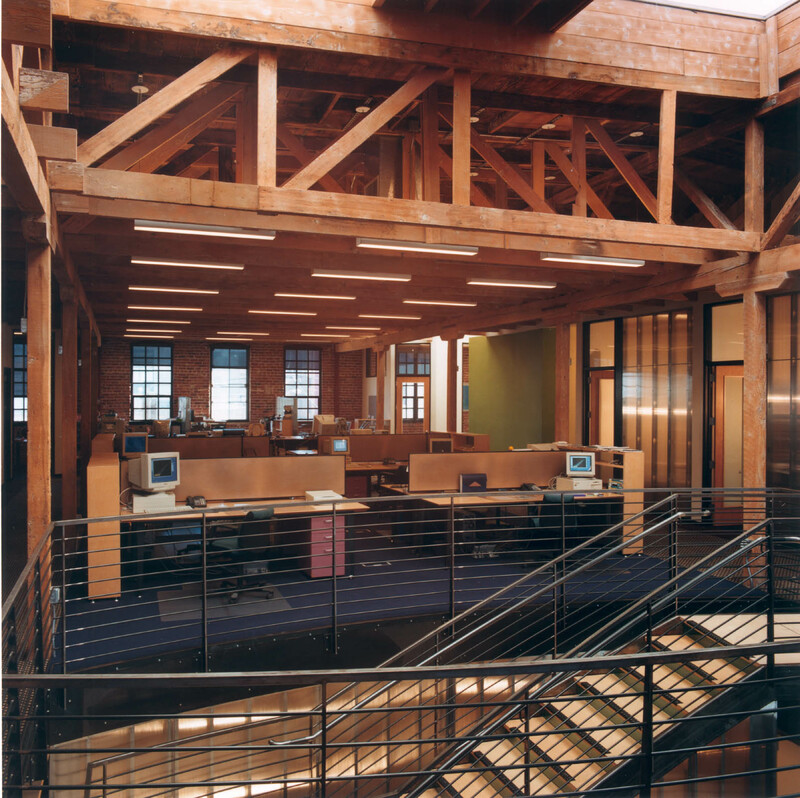 Create a flexible workspace that promotes workflow and communication, offers abundant natural light and transforms the original structure.